#BristolCourt is a gated townhome community near all amenities and only minutes away from the centre of Richmond Hill. 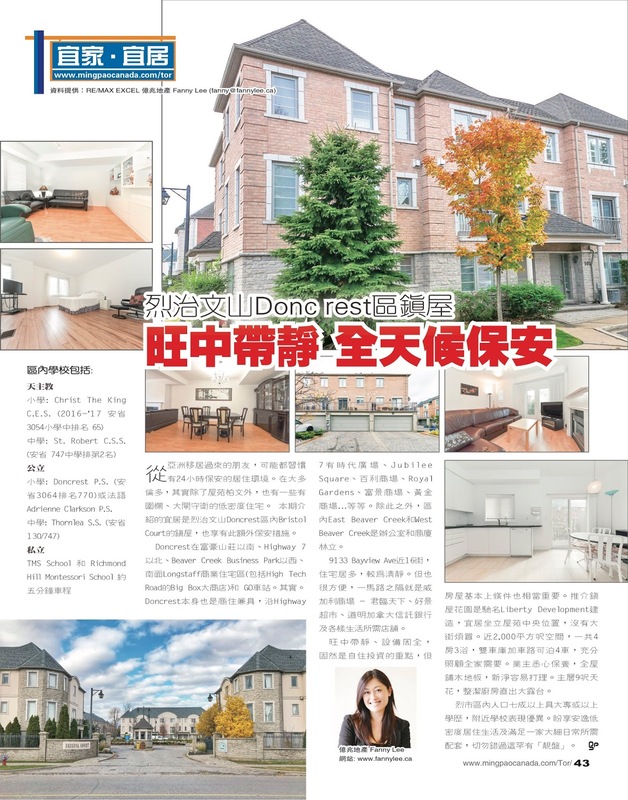 Such a unique real estate that we liked to let more people know via #MingPao #Property Goldpage. We cited 103 - 9133 Bayview Ave. in the article. Here is the text. 小學: Doncrest P.S. (安省 3064 排名 770) 或 法語 Adrienne Clarkson P.S.